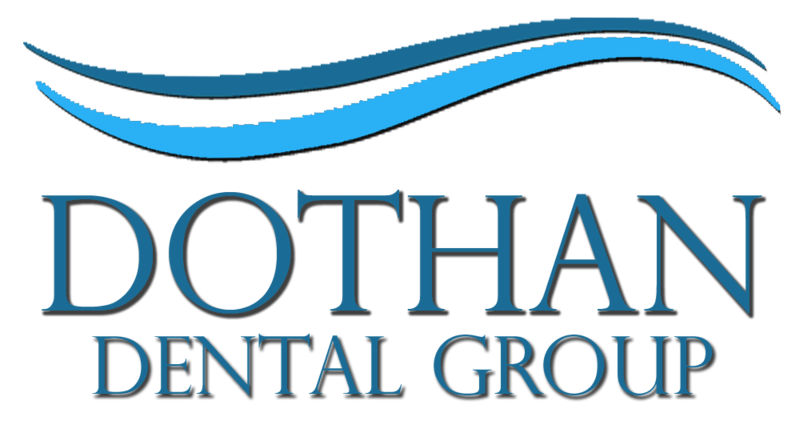 At Dothan Dental Group, we are proud to offer our patients a wealth of services. From preventive care to restorative care to aesthetic care including teeth whitening, we are here for you to meet your every dental care need. Preventive examinations and treatments are the foundation of our practice. By developing a preventive treatment care plan that you and your family can stick to, we can help you dodge most common dental problems, including cavities and gum disease. We’ll take the time to sit down with you and discuss your home care routine and look for ways that it can be improved. Of course, a routine isn’t helpful if it isn’t being followed, so we’ll also find ways to help you fit your dental care routine into your schedule and your lifestyle. At Dothan Dental Group, we believe that it’s time for dental care to be fully recognized as a vital part of every family’s overall healthcare plan. Your dental health is a mirror of your body’s total health, and we’ll work together with you to get you where you want to be and then keep you there. If your smile just needs a little refresher, call our Dothan dental office and find out about in-office and take-home professional teeth whitening. We can help you have a bright, shining smile in less time than you might think. We are also able to perform routine and emergency care treatments, including extractions and root canals. Emergencies are an unfortunate part of life, and accidents can happen. We’ll be there for you with same-day emergency appointments when they do. Are you ready to schedule your appointment with one of our excellent dentists? Call Dothan Dental Group today at 334-793-6400 or fill out our convenient online form.